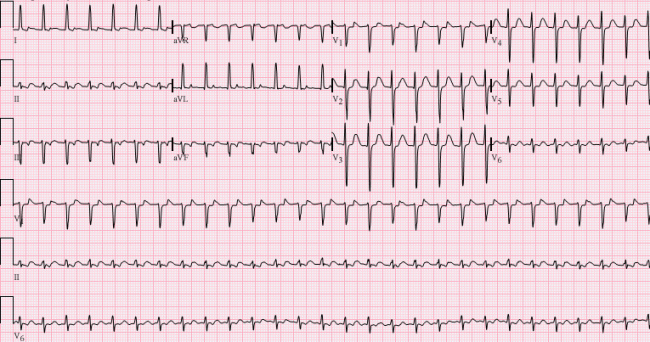 This type of abnormal rhythm arises from malfunctioning of the AV node. 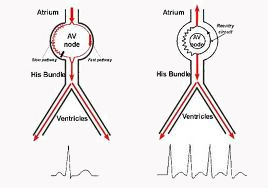 In most people, the AV node conducts impulses along a single pathway. In AVNRT, a second conducting pathway arises, confusing the electrical signals traveling from atria to ventricles. As a result, both the atria and ventricles beat at the same time instead of in sequence.